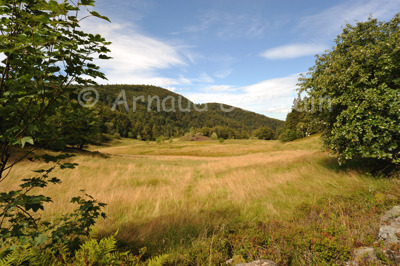 I took this picture of a little valley between the Rouge Gazon ski resort and the Neuweiher disused farmhouse. It shows the beauty of the region where I grew up. These little meadows were once farmed for the grass that supplied hay to the cows in winter. But as there are less and less farmers in the region, the forests are invading the meadows and the landscape becomes more and more closed.